Why so many fans arrived just for the banner celebration today ? There was no proper information well in advance for the event, Planned overnight. With what guts we planned? If there was no response, It wouldn't have worked out. The enthusiasm shown by the fans since the first single line status update informing about the event grew up as the biggest celebration of all time just for the banner. 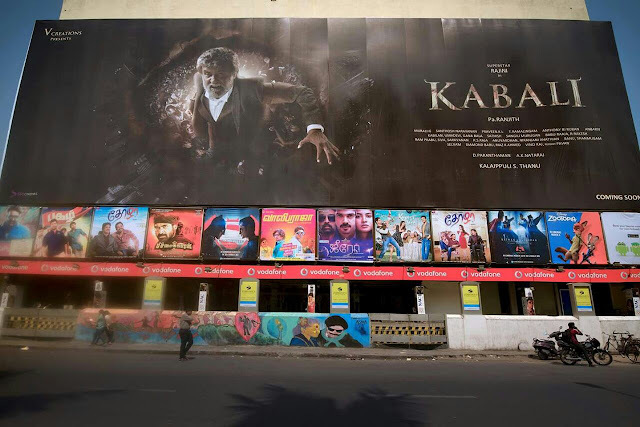 Cinema has seen fans celebrating movies, hero birthday's and even trailer releases, This is the first time in ‪#‎India‬ that for a star, his movie's banner launch is celebrated in a grand manner. As it was planned in a day, We didn't expect much crowd and was also careful that it must not be a disturbance to the public. It was 4:30 PM and we started to get calls from the fans who had already reached the venue. We entered the venue and we could see people standing scattered as none of them knew each other and they were waiting for some common person. We also had no idea who are all our fans and after some time we decided to stand and take photo covering the banner, Immediately the crowd which was scattered, came to the place where we stood and stand along with our fans who volunteered. 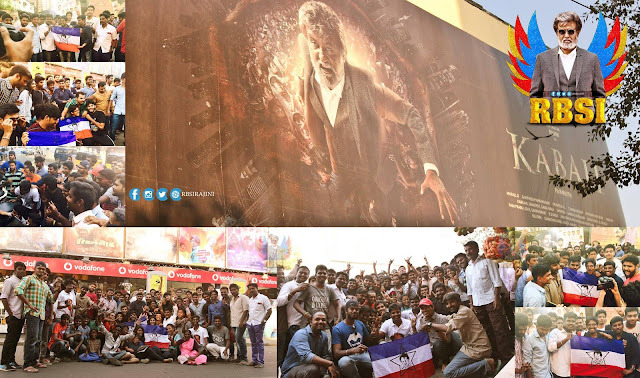 Within seconds the road was covered with vibrant youngsters Thalaivar fans, The flag waved, Banner was covered, everyone began to cheer for ‪#‎Thalaivar‬ and the public were stunned to see the roar for ‪#‎Superstar‬ ‪#‎Rajinikanth‬'s banner. 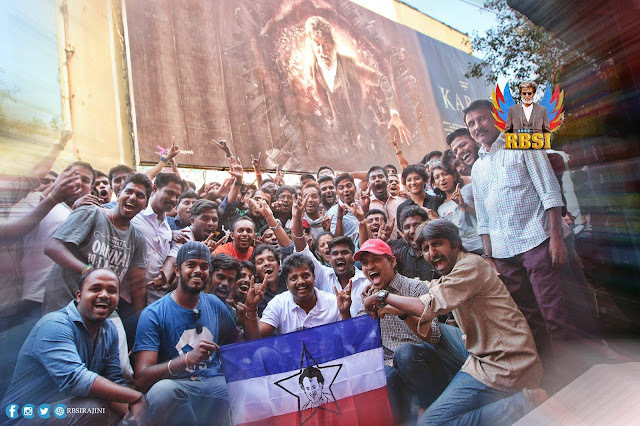 Many female fans and kids joined for the mass photo with #Kabali and with the loud cheers from all of our fans, The ‪#‎Mass‬ photo with Kabali was clicked. 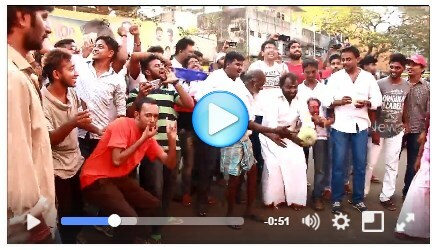 Our ‪#‎MuratuBhakthargal‬ fans didn't stop with that and began to take aarathi to #Kabali with the pumpkin and coconuts, A diehard fan took aarathi by lighting camphor in his hands. Fans were delighted in the festive mood and the public began to talk like 'banner ke ipadi pattaya kelapurangale, padathuku ena panaporangalo', ' intha manushanuku thaanpa kootam epovume irunthutu iruku'.. The fans who joined the event today are energetic youngsters who came all the way from somewhere leaving their commitments just to celebrate the banner of their favourite star nama Superstar. They came with no expectation. 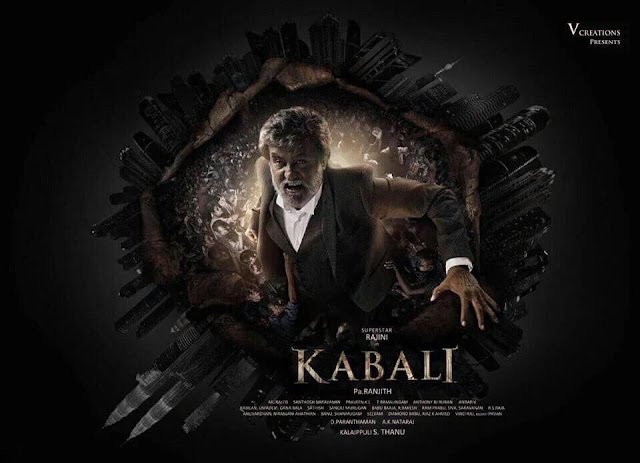 They didn't come to meet Thalaivar, They didn't come for the first day first show. They just came to see that banner which had Thalaivar's face in it. 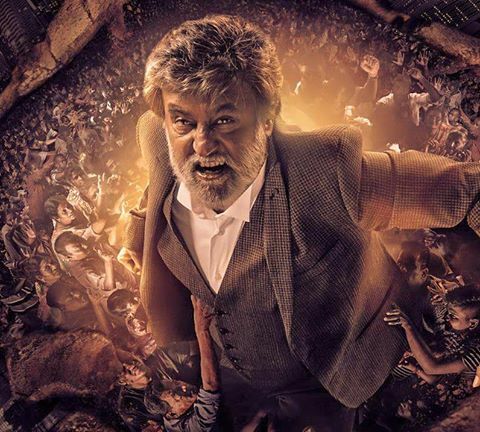 No one can understand a Rajni fan unless he/she is also a ‪#‎Rajini‬ fan. So fans who attended the event today and who were interested to attend, but who couldn't, feel happy that you did something without expectation, And whatever you give, you will get back. You gave love to ‪#‎Thlaaivar‬, You will feel it back. We do out of love, passion for #Thalaivar #Superstar.